Posted on January 14, 2019 by Jonathan R. Grant, M.D., F.A.C.S. The New Year is a great time to revisit your skin’s health and beauty. If the holiday season or winter weather have left your skin looking dry, dull or aged, a non-surgical skin treatment with Mt. Vernon facial plastic surgeon Dr. Jonathan Grant, M.D., F.A.C.S., may be what you need to restore your youthful and radiant complexion. Here, he shares the most popular skin rejuvenation treatments he offers. Microneedling is designed to treat an array of skin concerns while simultaneously creating younger and healthier skin. The procedure involves creating tiny controlled punctures or micro-injuries in the skin. As part of its healing process, the body will produce collagen and elastin, two proteins responsible for the skin’s firm and elastic quality. Dr. Grant performs microneedling with the SkinPen®, one of the most effective and advanced systems on the market. The SkinPen® microneedling device can be used to improve the appearance of wrinkles, fine lines, acne scars, pore size, stretch marks and hyperpigmentation. For best results, several sessions spaced four to six weeks apart are recommended. 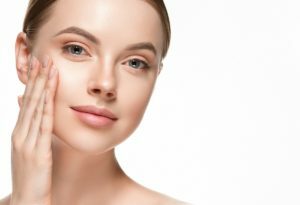 Fractionated laser skin resurfacing uses laser energy to vaporize old and damaged skin cells, making way for new and healthy cells that create a smoother and refreshed complexion. The “fractionated” technology only vaporizes skin cells in a fraction or percentage of the skin’s surface area at a time, so downtime is minimal. Fractionated laser skin resurfacing can be used to treat wrinkles, lines, hyperpigmentation, acne scars and broken blood vessels. An alternative to laser skin resurfacing, IPL therapy uses pulses of light (similar to a laser but with lower intensity) to penetrate the skin and stimulate the collagen regeneration process. This in turn minimizes the appearance of aging signs and sun damage, including redness on the face and neck, rosacea, age spots and spider veins. Incorporating the right products in your daily skin regimen can have a long-term effect on your appearance. Dr. Grant carries a wide range of medical-grade moisturizers, serums, scrubs and sunscreens from Neocutis and Elta MD. Medical-grade products consist of a higher concentration of active ingredients than over-the-counter products. The higher the concentration, the more powerful the results. Neocutis and Elta MD products can be used as part of an at-home skin regimen or in conjunction with an in-office treatment like microneedling, to enhance results. Dr. Grant and our team can recommend products based on your skin type and needs. To learn more about your non-surgical cosmetic options for younger and rejuvenated skin, please schedule a consultation with Dr. Grant. You can reach us by calling or emailing our Mt. Vernon office today.